WIRED developed a first-to-market tool that highlighted the future-focused engineering of the E-Class and leveraged the buzz around WIRED’s 20th Anniversary. 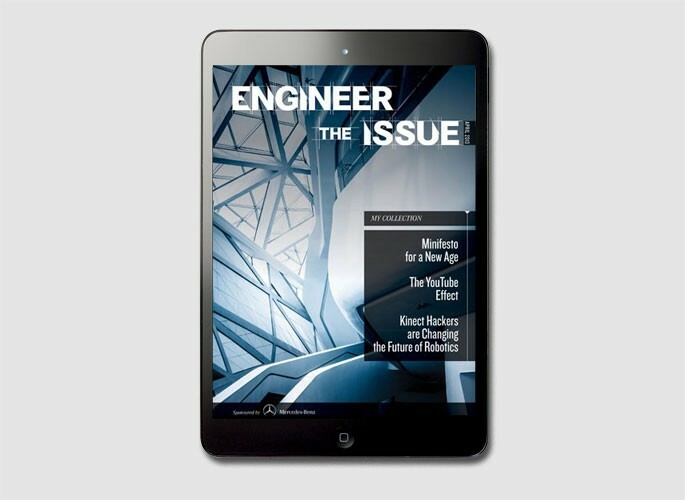 Engineer the Issue allowed users to personalize an issue of WIRED using 20 years worth of original content. Designed in a simple-to-read format, this execution functioned beautifully on both desktop and tablet web. 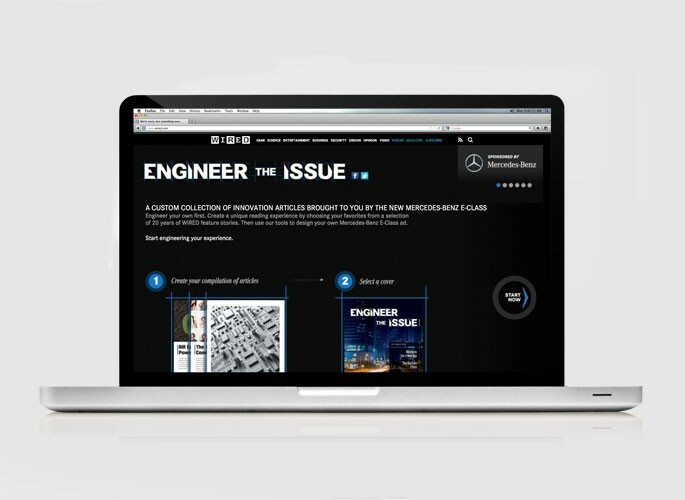 Digital: A custom interactive site on WIRED.com housed the Engineer the Issue tool with Mercedes-Benz branding and build-your-own Mercedes-Benz ad integration. The site’s result page linked to Mercedes-Benz USA’s site and social channels. The campaign also included custom traffic drivers running on WIRED.com and social media promotions that drove to the interactive site. Tablet: A custom full-screen interstitial ran on WIRED.com tablet web to drive to the mobile optimized site.